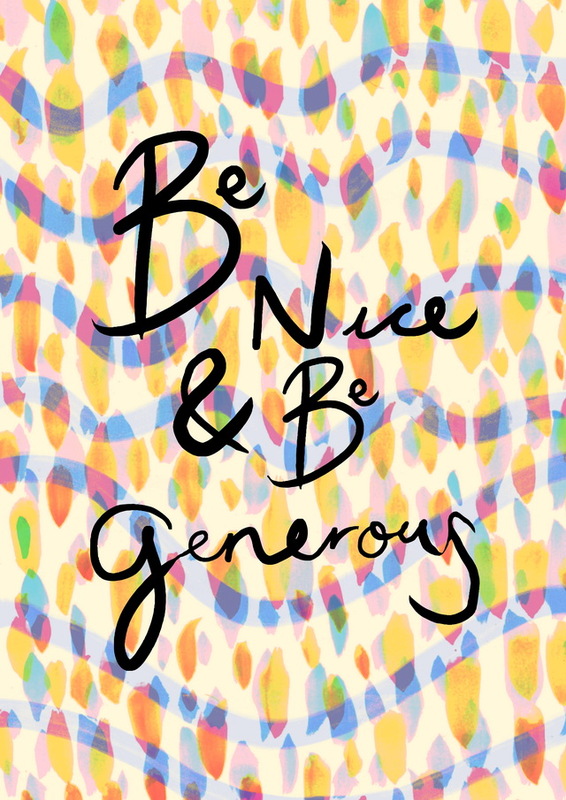 to “be nice and be generous” is something that i think is super important. people that have kindness and generosity at the core of their being are the ones that you want around through the good times and the bad times. i think as long as you are kind and generous to others (and yourself) to the best of your ability, you will reap the rewards in terms of friendship, love and some sense of fulfilment and purpose. and what’s better than that? give someone a compliment, in real life, or via social media. smile at people that you pass on the street. leave a little kind note for a stranger, a friend or someone you love. answer a question (that you know the answer to). be appreciative when someone helps you. remember how it feels when someone is kind to you. maybe you could help someone out in the same way. share blogs/websites/accounts of the people you love and that inspire you. try not get annoyed over pointless things and see the positive in the situation. be more appreciative of everyday things/things you may otherwise take for granted. share something: a funny or inspiring link, a joke, food with friends, books you love ..the list is endless. make a list of things that make you happy, and share it. 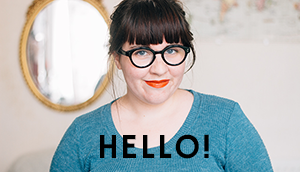 leave a thoughtful comment on a blog post. write and send a letter to someone to thank them for their kindness, or just to say hello and ask how they’re doing. ps. if you are so inclined you can buy this as a print. thank you! and absolutely ..even if someone is extremely ‘flawed’ (aka human) in other ways, as long as they’re kind a lot can be forgiven! ..i mean, to a certain degree obviously. Yes yes it is so important! I like to think that I am extremely kind. I like to smile and say thank you with appreciation. I love being thoughtful!